In addition to all of the wonderful faith-infused curricular learning that happens at Rose Park everyday, there are always ample opportunities for additional learning, nurture, and growth to happen in the course of our days. Thursday was just one of those days. A small group of 6th graders working with our ESS teacher, Mrs. VanPeursem planned for Rose Park to commemorate World Down Syndrome Day at Rose Park. These students were inspired to do this out of some of the other inclusion work Vicki has done this year in 6th grade and throughout the building, as well as out of love for one of their dear schoolmates who has the 3rd copy of the 21st chromosome. 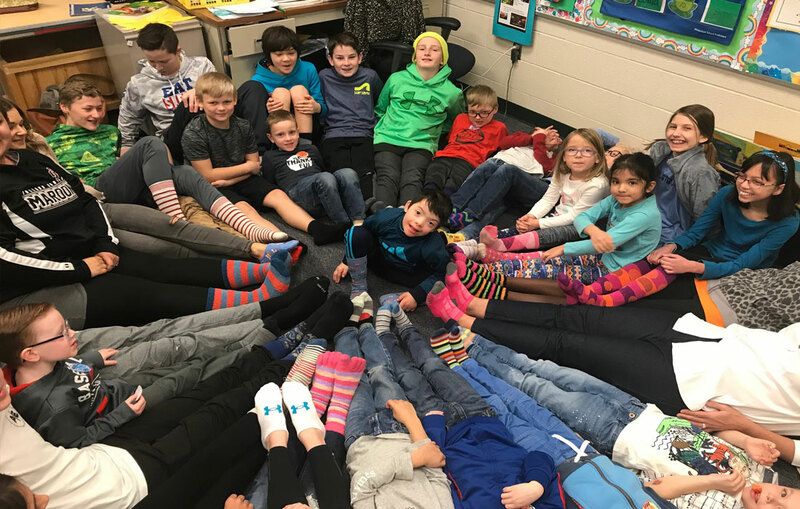 Rose Park students and staff responded enthusiastically to the invitation with so many wearing brightly colored, oddly matched, or striped socks…the shape and stripes suggestive of a chromosome under a microscope. Classes performed 3 sets of 21 different activities or exercises throughout the day. There were learning opportunities about Down Syndrome in classes and grade levels with the help of Denise, the dear mom of our student with Down Syndrome. The pictures I’ve seen (one above), and the stories I’ve heard, the prayers prayed by students were all moving and impressive, and evidence of God’s blessing. This is what we do because it is who we are. We all, each and everyone, are indispensable members of our Rose Park family and the Body of Christ. Together we reflect the fullest image of God. Together we experience the richness and fullness of God’s presence. Together, we love, support, encourage, and complete each other. This is what we do because it truly is who we are. Rose Park is a rich, increasingly diverse, and beautiful place in which to equip minds and nurture hearts to transform the world for Jesus Christ. Please join us in preparing a nice, warm meal for our wonderful teachers as they put in the extra hours to meet with parents. Any item brought needs to be dropped off in the Teachers’ Lounge by 3:15pm the day you’ve signed up to bring it. Thank you in advance for your contribution! 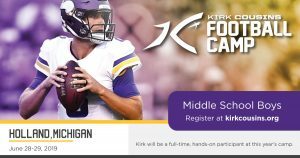 Please follow this link to sign up. Our lost and found table is FULL of treasures. Please take a moment to check it out and see if any items belong to your child. ALL items will be donated to Ditto at Spring Break. Swingin’ the Night Away Tonight! The Biannual Swingin’ the Night Away is tonight, Friday, March 22 from 6:45-9:00 p.m. in the HCHS Cafeteria. Free dance instructions from 6:45-7:30 p.m. and from 7:30-9:00 p.m. there will be dancing, vocal soloists and HC Jazz Bands. Enjoy desserts and beverages. Tickets are $5 at the door. All ages are invited to join the fun! Moms, you are welcome to join us in the library from 8:15-9:05 on Friday mornings. We’ll lift up our Praise, Confession (silently), Thanksgiving and Supplication. Come and feel the blessing of being at the Master’s feet!